afrol News, 17 March - Nigeria's Acting President, Goodluck Ebele Jonathan, has dissolved cabinet in what is seen as an attempt to consolidate his power. It is further seen as an indication that hospitalised President Umaru Musa Yar'Adua may not return to power. The dissolution of Nigeria's federal cabinet was officially announced by Information Minister Dora Akunyili this afternoon. No reasons were given. Nigerian analysts are not surprised by the move. According to Nigeria's leading daily, 'The Punch', since February, "various groups and individuals had been advising [Mr Jonathan] to dissolve the cabinet and form a new one made up of people loyal to him." Vice-President Jonathan was proclaimed Acting President by the National Assembly in February after President Yar'Adua failed to recover from a long illness and the need for political leadership became urgent. Little is informed about President Yar'Adua's health situation. It has even been speculated that the federal president may have died, and large crowds gathering in the capital, Abuja, have repeatedly demanded to see Mr Yar'Adua to be assured he is still alive. The 52-year-old Acting President, despite numerous invitations to consolidate his new powers, has so far acted carefully not to upset the sizeable following of President Yar'Adua. Some analysts therefore see his anticipated move to dissolve cabinet as a sign that the President's health condition has deteriorated to a stage that prohibits him from taking up power. The Nigerian de facto leader has seen serious attacks on his authority since his February appointment. When he replaced his national security adviser after the recent Jos massacre, Mr Jonathan's decision was challenged as unconstitutional by opponents. Further, several demonstrations have called for his resignation. The sacking of the cabinet may set off a new power struggle in Nigeria. Already yesterday, as rumours in Abuja foresaw a cabinet reshuffle today, several ministers indicated they would challenge a possible decision to sack them in the constitutional court, doubting an Acting President had powers to reshuffle government. 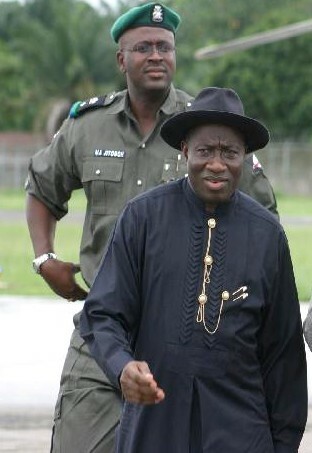 Acting President Jonathan is from the Niger Delta region in the south of the populous country. He is the first Christian to hold real powers in Abuja since 1975, except for a 3-month interim period in 1993 under Ernest Shonekan. The power balance in Nigeria for the last decades has favoured Muslim heads of state, typically with a Christian Vice-President. As religiously-based violence is strongly increasing in Nigeria, the prospects of a Christian President have also raised concerns among large parts of the Nigerian elite.